Do I Need Marijuana Rehab? Is There Marijuana Treatment? What To Expect From Marijuana Rehabilitation? How To Pick a Top Marijuana Rehab? What is Marijuana? Is Marijuana Addictive? Rehabilitation programs have evolved over the years, both to accommodate new addictions and to incorporate various new psychosocial therapies as they've been created (such as contingency management and cognitive-behavioral therapy). Because of the complexity of addiction and potential for relapse following treatment, rehab programs are usually recommended to achieve a comprehensive treatment approach to your addiction, with the ultimate goal of abstinence. Marijuana addiction is a little bit unique, in that the ability to become psychologically and physiologically dependent on marijuana is a rather new idea. For years, marijuana use was considered completely voluntary until the present day researchers concluded that it could, in fact, result in addiction. Now, marijuana addicts are encouraged to seek treatment just as frequently as those addicted to other substances. Find Help Today If you recognize any of these signs, don't wait to find help for your addiction. Search for a treatment center today. If you have unsuccessfully tried to stop using marijuana in the past, or your attempt at treatment has resulted in relapse, then you may be a good candidate for rehab. If you have a low level of motivation to stop using marijuana or a poor support system at home, you may be more likely to achieve abstinence without relapse by attending rehab. Abuse of multiple substances also indicates that rehab may be the best treatment option. Medical complications are another reason that would lead you to seek rehab, as supervision by trained medical professionals is a part of the program. Not only do the medical care staff ensure your safety during detox, but they also deal with any medical complications that arise. This includes medical conditions such as diabetes, heart disease, and epilepsy, as well as mental health conditions, such as anxiety, bipolar disorder, and depression. Rehab provides you the comforting company of others who are also going through the same struggles. Trained professionals also support you through the rehab process by helping you manage withdrawal symptoms and providing medical support. Upon arrival at a marijuana rehab facility, the first step will be an admission, complete with a comprehensive physical exam and medical history (including substance abuse history). Please be honest during this exam, as it will only help your health care team with your treatment during the detox part of rehab. After intake, the next step in most rehab programs is detox from marijuana. Detox is the process by which the body rids itself of all traces of the marijuana. Sometimes, depending upon the severity of dependence on marijuana, withdrawal symptoms will occur during detox from the drug. 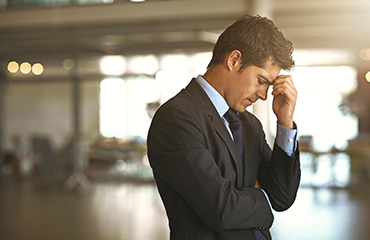 These symptoms, while unpleasant to say the least, are not life-threatening. The primary symptom of marijuana withdrawal is insomnia, which may be treated during rehab using medications to help the patient sleep. Remember, medications such as these should only be used in the short-term to relieve symptoms of marijuana withdrawal. Again, one of the benefits of going into rehab is getting constant medical oversight and intervention from the medical staff when symptoms such as these occur. There are currently no evidence-based medication interventions to treat marijuana dependence. No medication has been approved to treat the psychological and behavioral symptoms of cannabis intoxication syndrome. Severe symptoms like psychosis, panic or extreme anxiety can be treated with a benzodiazepine or antipsychotic medication. The antagonist rimonabant had shown promise in blocking marijuana's subjective and physiological effects, but has been discontinued due to severe psychiatric side effects like depression and suicidal ideation. A few medications have shown promising results in treatment. Oral THC (dronabinol) has been effective at reducing marijuana withdrawal symptoms in both inpatient and outpatient settings. It has been extensively studied and its clinical effectiveness is demonstrated in the reduction of withdrawal, immediate effects of smoked cannabis and reduced relapse rates. Marijuana users suffer from mood disturbances, particularly depression, so antidepressant medications have been studied for promoting abstinence in this subset of users. The antidepressant fluoxetine has shown reduced cannabis use amongst depressed patients in a few studies, but more research is needed to fully understand the abstinence potential of this medication. After detox, counseling can begin to help get to the cause of your addiction and help you change your life for the better. Treatments that have shown particular efficacy for marijuana addiction include cognitive behavioral therapy, contingency management, and motivational enhancement therapy. 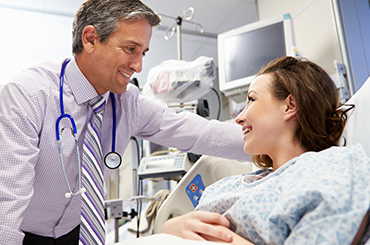 A combination of contingency management with motivational interviewing and cognitive behavioral therapy has been particularly effective in reducing relapse, promoting abstinence and increasing treatment retention. The effectiveness of contingency management may be based on an increase in self-efficacy whereby individuals realize that they are able to stay abstinent, and this increases the chance of future abstinence. Each program length has advantages and disadvantages. For example, the 30-day programs are long enough to facilitate detox and a short course of psychosocial treatments, but you can return to your normal life and work in a timely fashion. The medium length programs (60-90 days) have more time built in for learning life skills and applying what you have learned from the psychosocial treatment sessions but are more costly than 30-day programs. Lastly, those programs lasting several months to 1 year are considered therapeutic communities. You live and work with your fellow patients, completing intensive psychosocial treatments as well as 12-step programs. Some patients may return to their existing jobs while others learn new job skills during rehab. Residential Rehab. Residential rehab describes any program that requires the patients to live at the rehab center during treatment. These are inpatient rehab centers, and they offer supervision and support 24/7. The majority of patients who want inpatient rehab and treatment decide to attend a base-level residential rehab program. These are the most cost efficient for the general public. These services, which can often be found at high-end luxury resorts as well, include recreational activities, spa services, aromatherapy, and acupuncture to name a few. Private or luxury rehab centers mirror a hotel or resort environment, which can help patients learn how to live without abusing substances while simultaneously learning how to relax and cope with stress in more productive ways. These facilities are unique in that they allow the patient to still participate in their busy lives (such as work-related functions) while still receiving the treatment and support they need to recover. The patients at executive rehab facilities have the support of their peers and the staff at the facility while still being allowed to interact with clients and business associates. These centers are private and often secluded, providing an escape from the media. As always, treatment at an executive rehab center is confidential and allows the patient to take a step away from his/her hectic life and focus on recovery. Executive rehab tends to be the most expensive of the options, but comes with the most amenities and is designed to cater to a specific clientele who require such discrete services. Those who desire a faith-based rehab experience. One of the primary benefits of specialized programs is to create a comfortable environment that surrounds patients with others facing similar struggles and complications to the rehab process. This creates a very supportive rehab environment, and allows the patients to support each other in ways that the staff cannot. One reason that prevents substance abusers from seeking treatment is a fear of being judged by their peers, and with the supportive environment created by specialized rehab programs, this fear is eliminated. If you are looking for a marijuana rehab program and are feeling unsure about which option is the best for you, please call 1-888-993-3112Who Answers? to speak to a caring support specialist today at 1-888-993-3112Who Answers? for guidance. You can ask any questions you have on a confidential basis. Some community health departments offer free medical care, and may cover the costs of marijuana detox. Also, many colleges and universities with psychology programs offer free counseling--you may have to speak with a student in training (under the direction of a licensed counselor). Asking family members for help with the financial burden of marijuana rehab may also be an option, but this should be evaluated on an individual basis. For those with severe marijuana addiction, and for whom rehab is a requirement to get back on track, selling assets may be an option to pay for rehab. Just keep in mind that when you are discharged from rehab, you will need a place to live to get back on your feet. 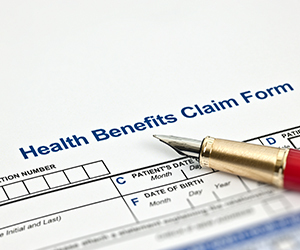 You may also be able to qualify for a public loan or an employer's assistance program to help pay for rehab. Does Insurance Cover Marijuana Rehab? Marijuana rehab coverage varies by insurance company. Many companies cover costs associated with marijuana detox, but not prolonged inpatient/residential rehab. Other insurance companies cover marijuana rehab for a certain number of days. If you have any questions about what your particular insurance carrier covers, give them a call and ask for an explanation of those benefits. Also, not all rehab centers accept insurance.Once you've contacted your insurance company, don't forget to ask the rehab center if they accept your insurance. After rehab, one of a few different things can happen. 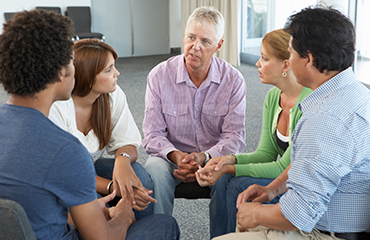 Find a Meeting 12-step meetings and recovery groups are great resources for those looking for support in recovery. Find a meeting today. If you have a stable home environment with supportive family and friends, then you may be advised to return home and begin either searching for a job or return to work if your employer held your job while in rehab. Other recovering substance abusers that are going through the same life struggles, such as making amends with family and friends, job searching, and integrating back into society after rehab typically inhabit halfway houses. However, halfway house residents may relapse, and you must keep this in mind when selecting this route of housing after rehab. For all recovering marijuana abusers, continued counseling and psychosocial therapy is strongly recommended (and, depending upon the circumstances that lead up to rehab, may be court-mandated). These services can be sought on an outpatient basis, and may include a Marijuana Anonymous group as well as counseling with a licensed therapist. To choose a marijuana rehab center that fits your needs, you must decide on a few things prior to searching. First and most importantly, the cost must be assessed. Then you must decide how long you want to stay (or need to stay) in rehab to achieve your goals of abstinence and recovery. Make sure to ask if the treatment is individualized to your needs. Will the psychiatric, social and emotional problems be addressed? What is the success rate of the facility? What types of relapse prevention strategies are administered? 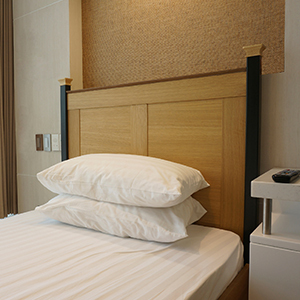 Once you have a clear picture of the kinds of things you want in a rehab center, call 1-888-993-3112Who Answers? to explore the options available to you. It's never too late to seek help for marijuana addiction. Please call today.